I've been participating in Aardvark Swift's Search for a Star games development competition. One of the competition rounds involves fixing a supplied broken game and then improving on it over the course of a week. It was coded in C++. I used SDL for audio and DirectX fixed pipeline functionality for graphics, but use of third party libraries and tools was discouraged. My aim was to make a short platform game based around avoiding creeps and getting to the goal (a star) at the end of each level. 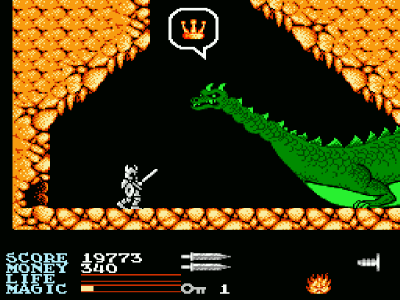 It was themed on the 1989 NES game Ironsword: Wizards & Warriors II. 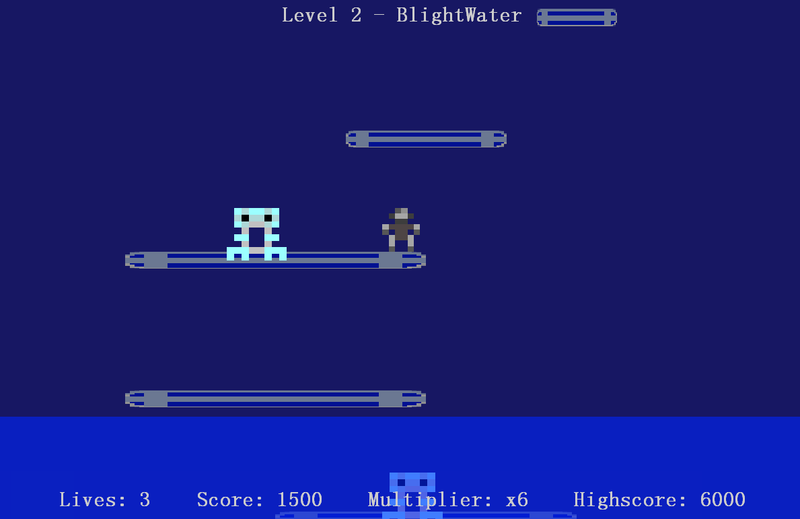 The levels, of which there were to be five, were at least named after the spells in that game. Unfortunately not much else was, because I ran out of time. 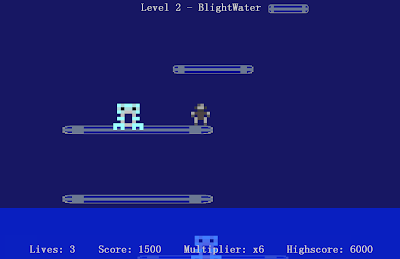 Left on the to-do list were integration of a tilemap and level editor for creating levels of a respectable size, plus the fixing of several bugs. It's still a laugh to play though. I take full responsibility for the grotty 8-by-8 pixel art. You can grab a zip of my submitted game here. I'll put up a link to a repo with the source on it once the competition is complete.